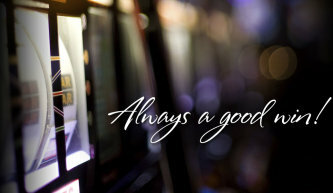 Enjoy the comfort, action, and service that will make River Bend Casino & Hotel your favorite place to play! One of the area's finest casinos, River Bend Casino & Hotel is located just miles from Grand Lake. Stop by 24 hours a day, 365 days a year for fun, food and fortune. While you're here, you'll be able to experience the thrill of winning when you play in our newly enhanced casino with the latest slots and table games. The River Bend Casino & Hotel redefines the gaming experience with over 800 of your favorite slots, High-Limit room, River Bend Hotel, breathtaking decor, three dining options including the award-winning Twin Bridges Restaurant, Casino Deli and Club 60 West which also boasts a fully stocked bar. While you’re here, join the Club Wyandotte Player’s Club to start earning great rewards by playing your favorite games! As a Club Wyandotte member you are eligible for exclusive FREE PLAY offers, special event invitations, eligibility for club member-specific drawings and giveaways and much more! Not to mention, your points are redeemable for many rewards including: bowling, billiards, and shuffleboard at Club 60 West, gas and car washes at the Turtle Stop Convenience Store, dining at River Bend Casino & Hotel, FREE PLAY and much more! Take your gaming to the next level inside Club 60 West! Club 60 West features a fully-stocked bar with over 20 hi-definition TV's, lounge area, billiards and shuffleboard room, bowling lanes, event center, private party rooms and the Atmosphere Digital Entertainment System. Club 60 West is always the right call for a day or night out! Excite your appetite at the Twin Bridges Restaurant! Now open 7 days a week for breakfast, lunch and dinner. Come in today and experience fresh flavors with our new menu that includes a variety of unique items, and many of the classic favorites. While you’re dining, don’t forget to complement each exquisite course with a specialty cocktail from the bar, located inside the Twin Bridges Restaurant. We call it Dining Redefined; you’ll call it delicious! Call 918.678.4946 or click HERE to reserve a room at our brand new River Bend Hotel!